My favorite mouse is probably the Microsoft Intellimouse Explorer 3.0. Released in 2003, tt represented the culmination of refinements made to the Intellimouse brand since its induction in 1996 and was a real fine piece of equipment. If I wanted it badly enough, I could track down some new Intellimice from eBay and be done with this ordeal, but I was interested in seeing how the market had progressed for the no-frills gaming mouse in the last decade. I began researching my options and narrowed down the field to 3 contenders, the Mionix Naos 7000, the Steelseries Rival 310, and the Logitech G403 Prodigy. Today I’ll be focusing on the latter. 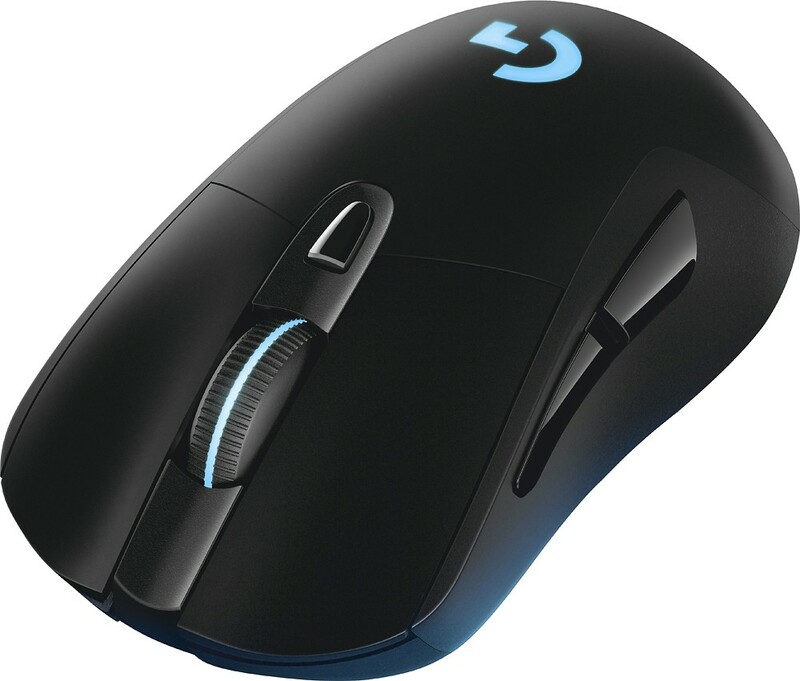 The G403 Prodigy was released late last year and features an optical sensor. It sports 6 buttons in total with the right click, left click, forward, backwards, wheel button, and DPI selector. It uses the PMW3366 sensor and has a DPI range up to 1200. It comes with a single 10 gram weight installed in the rear that is removeable. The mouse has a plastic outer shell with a rubber wheel coating. The forward/back buttons are a very glossy plastic. A wired and wireless version are available from retailers. I purchased the wired G403 for this review for $69.99. 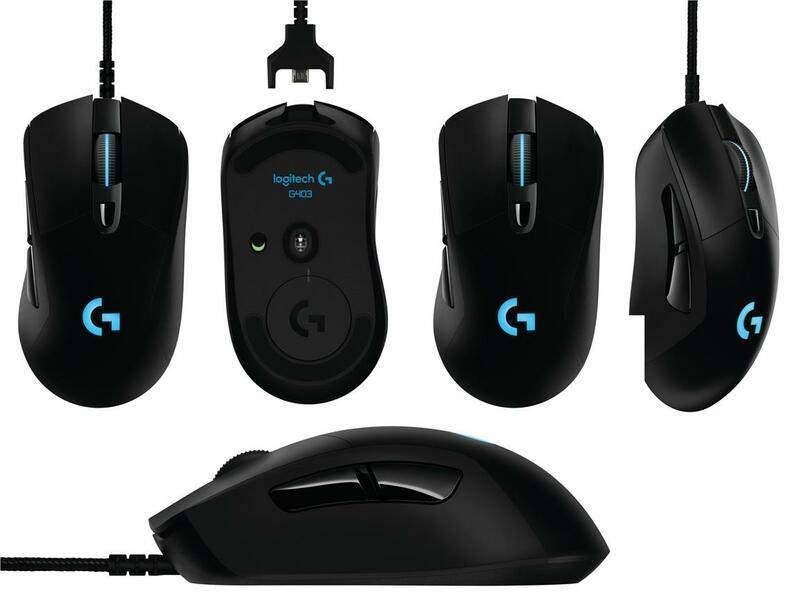 The G403 Prodigy comes in a black and blue box with simple packaging. I unwrapped the cord and plugged it up to get started. Like any USB mouse, drivers or software are not required for basic operation. For testing, I used a Corsair MMM300 cloth desk mat as the tracking surface. Right off the bat, I noticed severe tracking issues with the G403. The cursor movement was very erratic in Windows and made simple tasks frustrating. I checked the sensor for dust and tried again with no luck. I also noticed that if you shake the mouse, things inside rattle around and make noise. This does not inspire confidence. I navigated to the Logitech website and downloaded the Logitech Gaming Software Suite v8.96. After installation, I opened the program and it instantly recognized the G403 and offered an array of customization options. The first one I went for is the surface tuning in an attempt to fix the tracking issues I was experiencing. 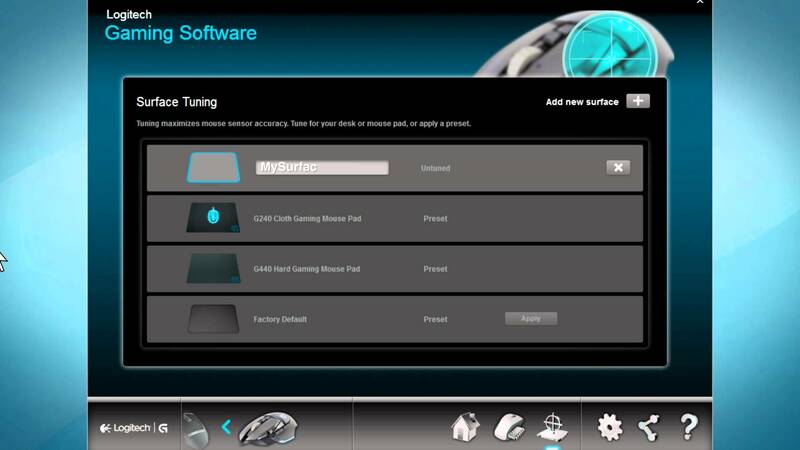 The surface tuning menu offered three presets for tracking tuning, Default, Logitech G240 Cloth, and Logitech G440 Hard. I tried the default option first assuming that my tracking issues were just a software goof up. The tracking did not improve. Because I was using a cloth mat, I tried the G240 preset and got similar results. The software offered a separate option for adding a custom surface. I chose this and was given the option to custom tune the mouse for my mat. I followed the instructions and once the tuning process was done, I noticed an immediate improvement. The cursor was still acting jerky, but it was much better than it behaved out of the box. On the advice of a forum post, I re-ran the custom tuning two more times. After three tuning sessions, the G403 was tracking well enough for my purposes. Being forced to install the software to get the mouse to track was less than desirable, but not a deal breaker. I fooled around with the other pages in the Logitech Gaming Software Suite. It has button customization, macro functionality and pretty much anything else you would expect from a modern mouse software package. I jumped into the RGB customization section to play with the lights that are included with the G403. My PC is currently using a white color scheme and my keyboard has a white backlight. I made several attempts to match the color of the mouse backlight to my other parts, but had no luck. The white color as selected in the Gaming Suite only produced different shades of light blue on the mouse itself. Bummer. Once I got the mouse into a useable state, I took it right into a selection of games. I found aiming in PUBG, Battlefield 1, Doom, and Metro: Last Light to be satisfactory. I use a grip that would mostly be described as 90% palm/10% claw and found the feel of the mouse in hand to be pretty good. It has a hump just beyond the DPI switch in the center that feels much higher off the desk that any of the other mice I tested, but I never felt that it affected my aim. Flicking the thing around the mat was effortless thanks to its low weight. The main buttons felt good to the touch and the mouse wheel was excellent, even during stressful weapon switch moments. The plastic housing that covers the mouse is not the best thing I’ve ever felt in hand, but it got the job done and did not hinder use in any way. I am not a fan of the forward and back thumb buttons, though. They are very large and occupy a huge area on the right hand side of the mouse. The glossy coating left them feeling slippery to the touch very early into a play session. While the buttons worked, the clicking feel of the switches was mediocre at best. Did this mouse make me better at PUBG? No, but it in no way made the experience worse. I had gone through a few different Logitech mice a few years back in search of a replacement for the Logitech MX518 mouse that I loved. I had tracking issues across multiple mouse pads with the M510, M500, and a G9x that were never resolved. Thanks to the Logitech Gaming Software Suite, the G403 Prodigy was able to overcome whatever caused this problem for me via the custom surface tuning. The rest of the Suite was well laid out, easy to use, and unobtrusive, which is more than I can say for some of its competitors (*cough -Razer Synapse- *cough). Would I recommend this mouse for $70? No. A sale for $30-40 would be more appropriate for the build quality and experience you get with the G403 Prodigy. Visually, I think it is the best mouse Logitech is currently offering as I am not a fan of the “gamer” look that infects a large chunk of their product line. If you can live with its quirks, it is a solid mouse for day to day use and won’t get you killed online. 7/10 Intellimouse Explorer 3.0s. You can find part 2 of the mouse review round up featuring the Mionix Naos 700 here. Got a g403 to replace a dying g400 (RIP faithful buddy), been loving it.